The most important thing you can do for yourself is schedule and keep your hygiene appointment. our practise runs in multispeciality hospitals namely,ROHINI HOSPITALS & M.R.HOSPITALS, Emerging science reveals the connection linking the mouth with the rest of the body. The significance of these mouth-body and oral-systemic connections highlight the importance of preventing and treating oral disease that can have mounting and profound medical impacts on "whole body" health. Patients will enjoy the resulting lifetime benefits of improved oral and general health, healing, longevity and wellness. Remember, good glycemic control should be instituted with good gums care! The diabetic patients should understand the implications on their oral health and take special attention and care to ensure good oral hygiene and regular dental checkups. When in doubt, always consult your attending physician together with your dentist . 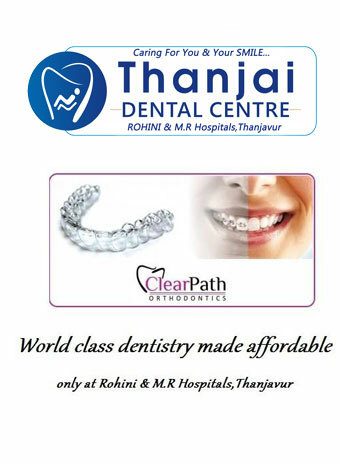 At Thanjai Dental Centre we focus on controlling the oral health of diabetic patients. If you have diabetes, you may have been told about the importance of looking after your eyes, your feet, your diet and checking your glucose daily but what about your oral health? Periodontal disease (gum disease) has been proposed as the sixth most common complication of diabetes mellitus. 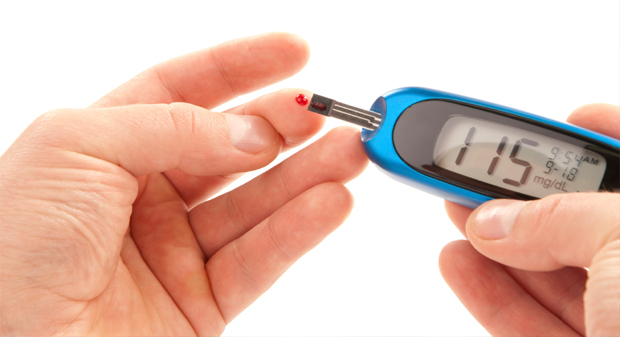 Diabetic people are 2 to 3 times more likely to develop periodontal disease. There are also other oral manifestations such as dry mouth, fungus and caries. Early identification and management of these oral manifestations can help you achieve a better glycaemic control. At Thanjai Dental Centre we can help you look after your oral health and incorporate it into your diabetes care routine in order to improve your quality of life. You can get diabetic specialist consultation in our centre itself inorder to plan your dental treatment schedule. Emerging research also suggests that the relationship between serious gum disease and diabetes is two-way. Not only are people with diabetes more susceptible to serious gum disease, but serious gum disease may have the potential to affect blood glucose the main sugar found in the blood and the body's main source of energy. Research suggests that people with diabetes are at higher risk for oral health problems, such as gingivitis condition of the gums characterized by inflammation and bleeding. People with diabetes are at an increased risk for serious gum disease because they are generally more susceptible to bacterial infection, and have a decreased ability to fight bacteria that invade the gums. If you suspect a problem, call us as soon as possible. 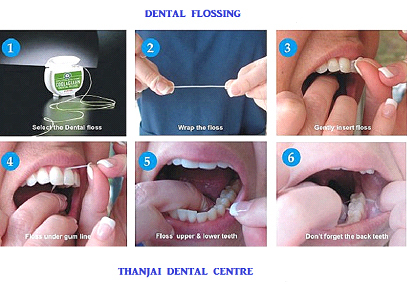 At Thanjai Dental Centre we will always make time for you, especially if there is a problem. Poorly managed blood glucose levels can decrease the levels of saliva and increase the amount of sugar in it. This can lead to dry mouth, ulcers, fungal infections, increased tooth decay, loss of teeth, and difficulty wearing dentures. There is thickening of the small blood vessels of the gums, which can lead to infection of the gum and bone tissues. You can experience more severe gum disease and at an earlier age. Gum disease can make it more difficult for you to manage blood glucose levels. Each persons response to periodontal bacteria can increase insulin resistance and, therefore, blood glucose levels. You can have severe toothache due to poor circulation to your teeth. If you cannot eat solid food because chewing is difficult, try alternatives such as milk, soup, cereals, pudding, or fruit juices to replace your carbohydrate allowance. Insufficient moisture can cause both dry mouth and a burning sensation on your tongue because as saliva actually protects your teeth from cavities and makes chewing and speech comfortable. If you wear dentures and develop a feeling of dry mouth, you may find them irritating and more difficult to wear. Periodontal disease can also cause many forms of complications such as Heart disease, diabetes, Osteoporosis, Respiratory disease and more. 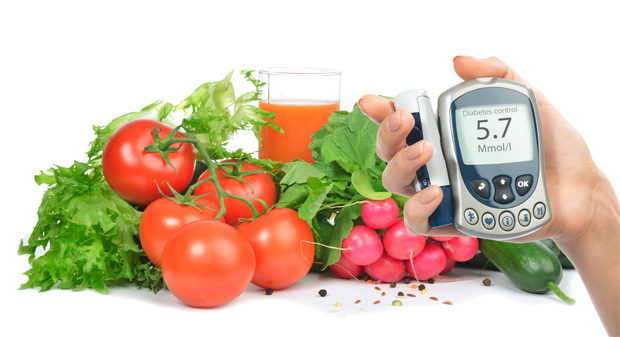 Diabetes can cause serious problems in your mouth. You can do something about it. The three main steps in fighting gum disease are brushing, flossing, and seeing your dentist regularly. Brush at least twice a day and floss at least once a day. Ask your dentist or hygienist to show you the correct way to brush and floss. A toothbrush can only clean one or two teeth at a time. Allow about 3 minutes of brushing to clean all your teeth well. Use a brush with soft bristles and rounded ends. 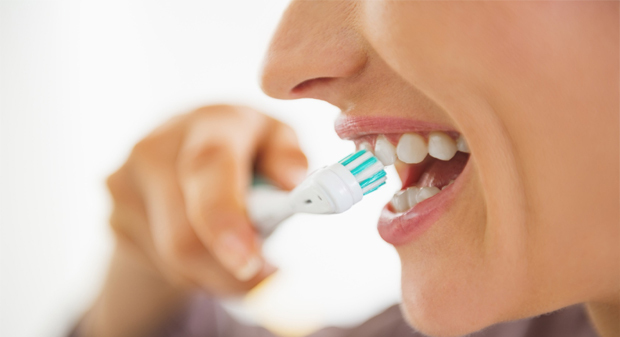 Soft bristles are less likely to hurt your gums. Angle the brush against the gum line, where teeth and gums meet. Move the brush back and forth with short strokes. Use a gentle, scrubbing motion. Brush the outside surfaces of the teeth. Do the same for the backs of the teeth and chewing surfaces. Brush the rough surface of your tongue to remove germs and freshen your breath. Remember to brush your gums too. Get a new toothbrush when the bristles are worn or bent, about every 3-4 months. Few people really enjoy flossing. But if you don't floss, you're only doing half the job of cleaning your teeth and gums. Flossing cleans away plaque and bits of food from between your teeth and below the gum line. It gets places your brush can't reach. Floss once a day. Break off 18 inches of floss and wind most of it around one of your middle fingers. Wind the rest around the same finger of the other hand. Hold the floss tightly between your thumbs and index fingers. Leave about an inch between them. Use a gentle sawing motion to get the floss between your teeth. Never snap the floss into the gums. When you get the floss to the gum line, curve it into a C-shape against one tooth. Scrape up and down on the sides of each tooth to remove plaque. As floss gets worn and dirty, move to a clean section and continue. Don't forget the backsides of your rear teeth. When you're done brushing and flossing, rinse your mouth with water. If you have arthritis in your hands, trouble moving your fingers, or if you have bridgework in your mouth, a floss holder might help. Ask your dentist about tools to make flossing easier for you.